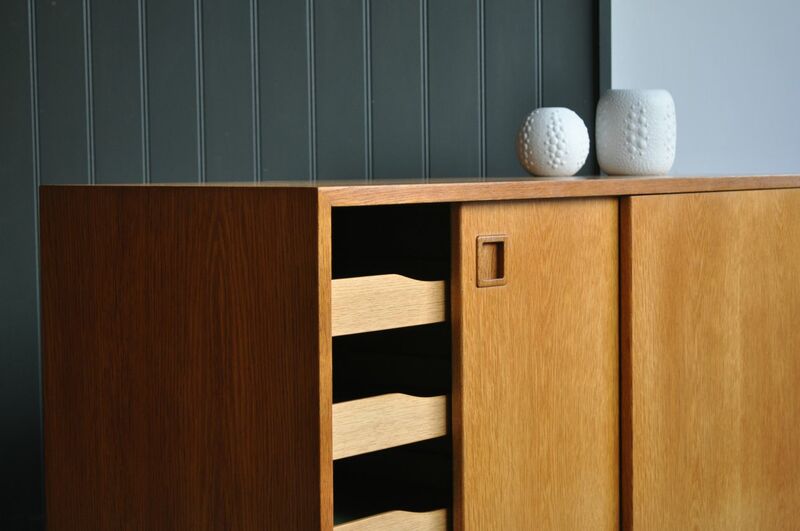 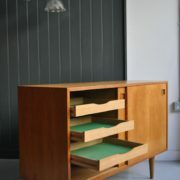 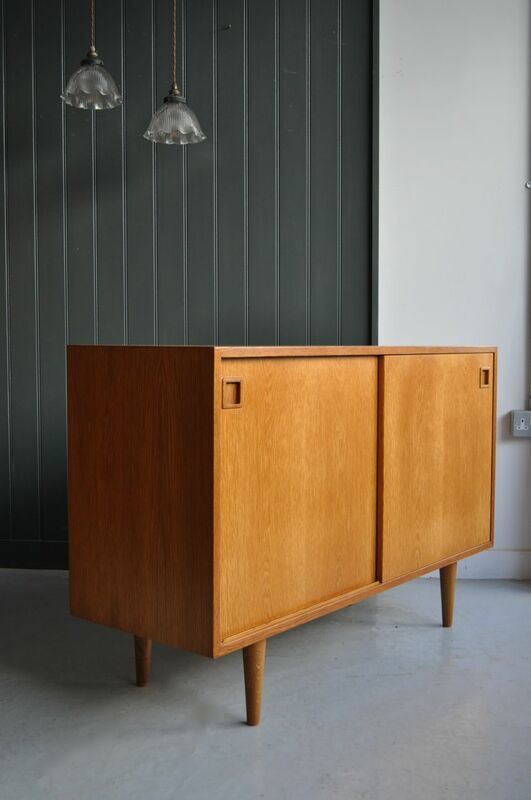 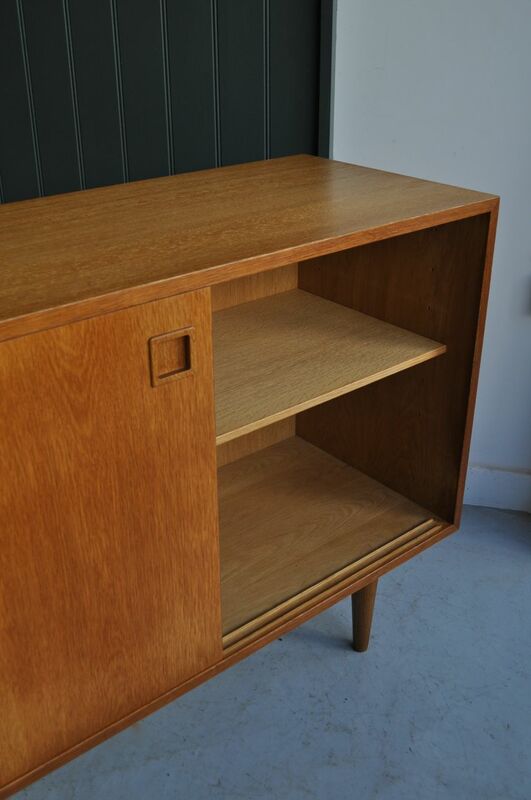 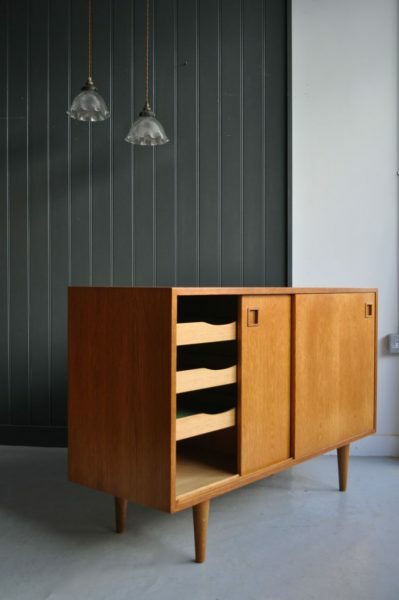 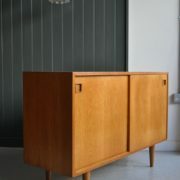 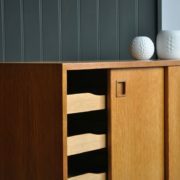 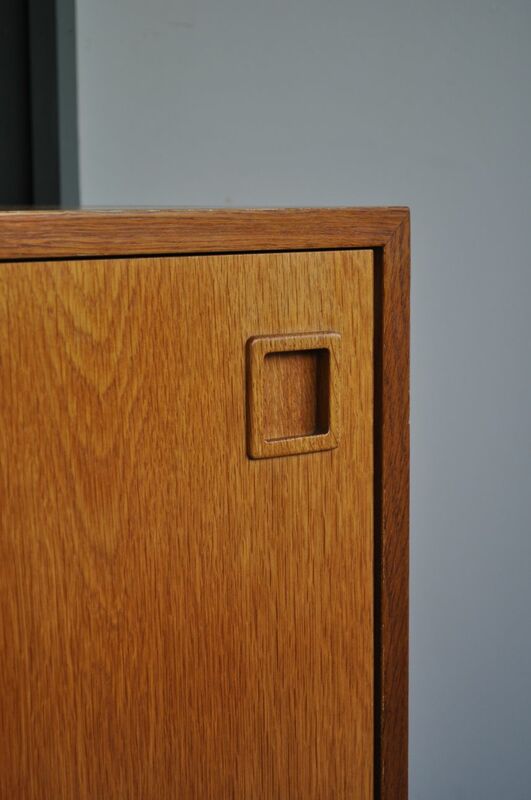 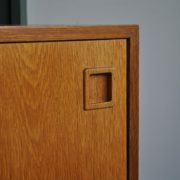 Danish oak sideboard with a simple clean design. 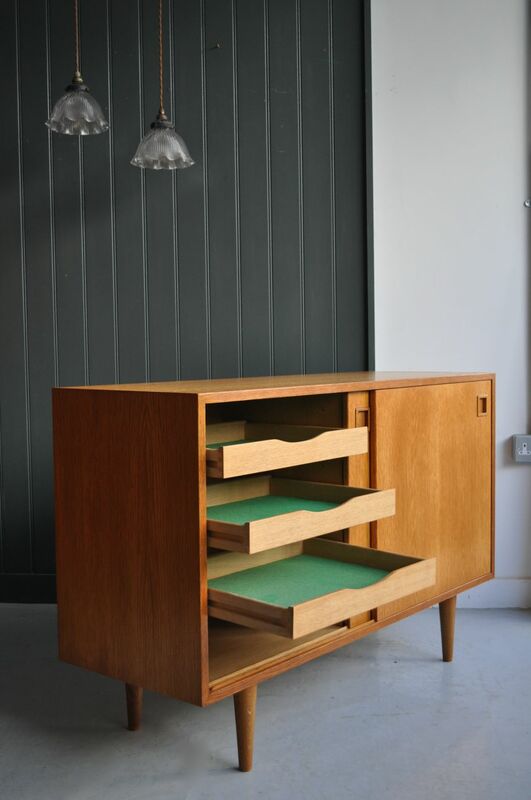 Three baize-lined pull-out trays to the left hand side, and an adjustable shelf to the right hand side. 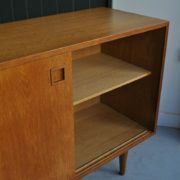 Good condition, with just the lightest of wear in keeping with age.